As with every digital system, while using JioFi routers you can have a few common issues, such as system error, automatic reboot, or network problems. You can not access jiofi.local.html anymore ? These kinds of problems could be discovered in all versions of routers, and here you can find a possible solution and suggestions on how to solve these issues. Possibly the best way to do it is to reset routers. We are offering you a step by step guide, so you can follow it and hard reset your JioFi device in 8 easy steps. 1 – Turn on the JioFi router. 2 – Remove the cover from the back. 3 – On the side of the WPS button search for ‘Reset’. Still, you need to be aware that reset button you are looking for could be placed at some other location. You may need to use web search for the location of reset button on your device. 4 – Find something thin, like a pin or anything similar, and use it to press the button. But, you should be very careful and do not use something that may damage your router. 5 – Press and hold button for approximately 30 seconds. 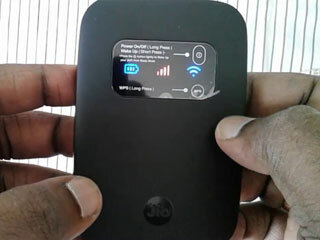 6 – Thereafter, your JioFi router will start blinking and reboot automatically. 7 – Then, connect your PC to the router and access http://jiofi.local.html page through any internet browser you want. 8 – Configure your JioFi router again, because the old configuration is lost during hard resetting process. If you completely follow these steps, every problem will be solved and you don’t have to worry, your JioFi router will be good as new. If you want to watch a video tutorial to reset your device, just watch this one below and everything will be fixed !